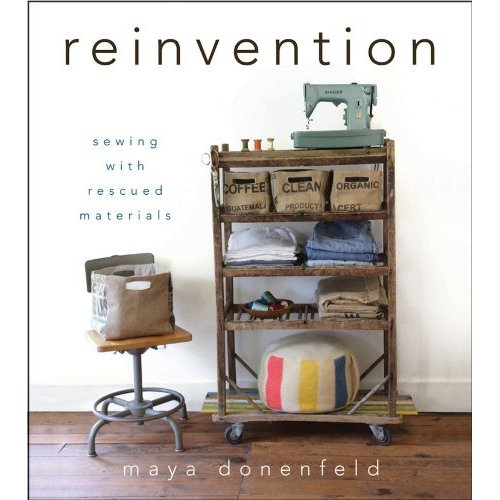 Reinvention by Maya Donenfeld | Aurora Shoe Co.
We're getting caught up in the local excitement and buzz surrounding Maya Donenfeld's first published book, and wanted to share (in case you hadn't heard) that she's got a couple of local launch parties coming up. Ithacamade (on State Street, in the old Bishop's building, between Mama Goose and Mimi's Attic) will be hosting a Gallery Night from 6-8 PM on Friday, May 4th. Maya will be there to share the creations featured in the book and to chat and answer questions. If you're not local, but want to get your hands on a copy, Reinvention is already in stock on Amazon. With their crazy fast shipping, you could have the book in hand before I do! Congratulations on making this book dream a reality, Maya. We are so happy for you!